Go Green this Halloween with our EEK-O-Friendly Tips! Buy local pumpkins! Find a local farm here . A trip to your yard or the farmers market will provide everything you need to dress up your house for Halloween: leaves and branches, hay bales, gourds, pumpkins, mums, dried flowers. Don’t dump those pumpkin seeds after carving! Clean, salt and roast them for a real treat. Have an old pair of stockings with runs in them? They make great spider webs! 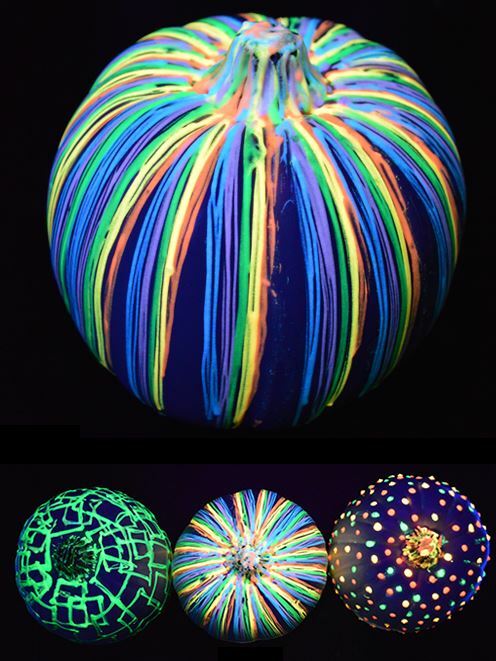 Light your pumpkins with beeswax candles or soy waxes which last longer and come from renewable crops, or try using glow in the dark paint. Make face paints free from heavy metals at home. Here’s a great tutorial. Turn out the lights and save some green. Light candles instead and enjoy your jack-o-lanterns. Compost the gourd – Compost those old jack-o-lanterns, food scraps and fallen leaves for great soil next spring. If you don’t have your own compost pile, look for local pumpkin recycling. Next year try growing your own pumpkins in the backyard for an especially Green Halloween!